Batman Compact Refrigerator Just $29.99! Down From $60! You are here: Home / Instagram / Batman Compact Refrigerator Just $29.99! Down From $60! 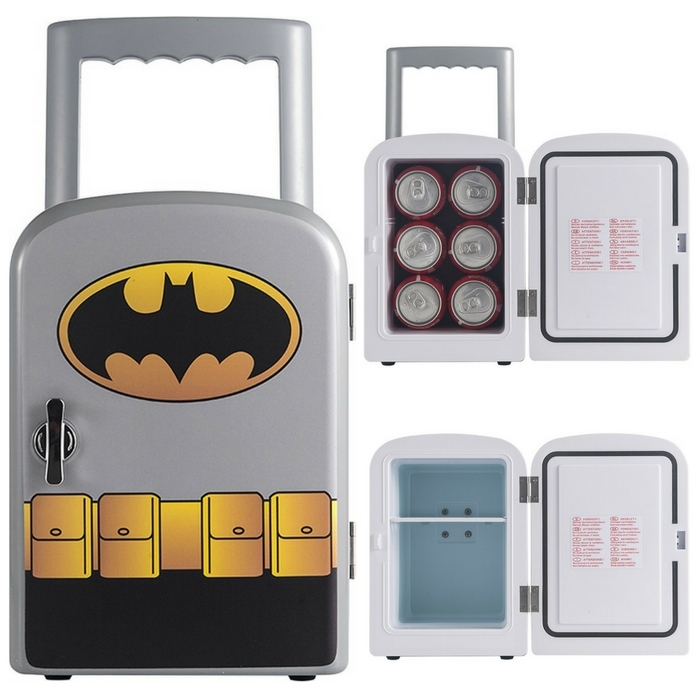 Keep your drinks as cool as the crime scene in Gotham with this Batman mini-fridge! A capacity that handles up to six cans makes it ideal for a dorm room or man cave, and a warming function is perfect for late night snacks. This mini-fridge works with a standard outlet or 12V car adapter for mobile use! Isn’t it cool? Right now at Best Buy, this Batman Compact Refrigerator is currently on sale for just $29.99 down from $59.99 PLUS FREE pick up! 0.1 cu. ft. storage capacity: Provides optimal space to store your items. Single door: Classic design that meets various needs. Freestanding design: Allows flexible placement.